The S-6000R Plus can be used as a simple standalone, easy to program printer, or alternatively integrated into a full production network system. Ideal for quick and easy product and box coding. The compact S-6000 Plus Remote has 17mm high print heads that are available with manual or motorized print head shutters. 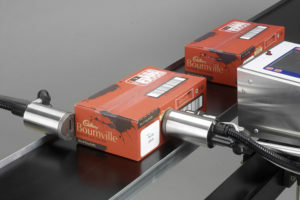 Print heads are mounted on a cable for extending into machines or hard to reach places. 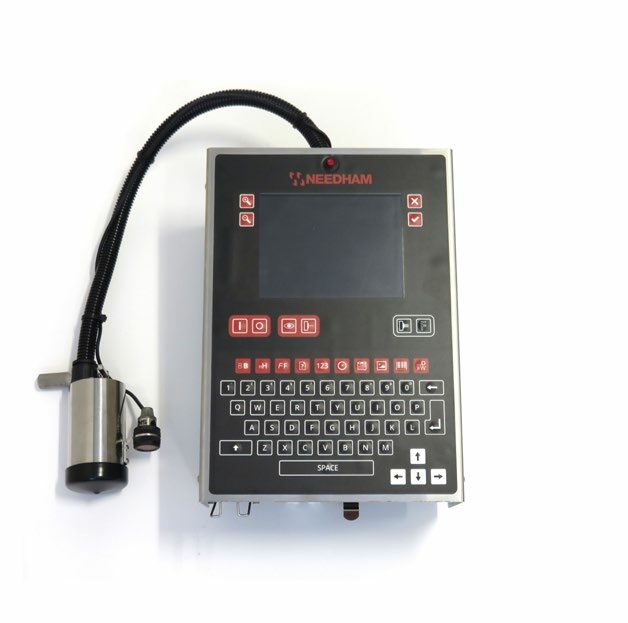 Ideal for product coding and best before dates, with a manual 17mm print head. For use with oil ink for absorbent surfaces or solvent ink for non absorbent surfaces. Solvent ink use will require head to be sprayed after production breaks. Print head can be positioned low down on product. Print head can print on top of product or on an angled side. Ideal for product coding and best before dates, with a 17mm print head. For use with oil or solvent ink. Motorized Print head shutter allows for continued printing after production breaks without operator intervention. Motorized Print head shutter system is ideal in dusty environments as its closing can be time controlled and opened with a product sensor. Print head can print on top of product or on angled side. Motorized shutter is ideal for fully automated continuous printing with minimal operator intervention.